Imagine an affordable marketing solution that you only pay for once, and then you can take it wherever you want it to go for a few years. Well, with Summit Custom Signs’ vehicle wraps, that is a reality. We can wrap one single vehicle or your entire company’s fleet so you can advertise while on the road, or in other crowded areas such as shopping mall or stadium parking lots. High-quality vinyl vehicle graphics are surprisingly affordable, and the one-time cost pays for itself with the large number of impressions your business will make around the city and the surrounding regions. This means that it is a smart investment, and a lot of business owners know that by now, which is why it is one of the preferred methods of advertising for many small, medium, and large businesses. At Summit Custom Sign Company, we only use high-performance vinyl materials to manufacture our vehicle wraps, so you can rest assured that you are getting a product that is resistant, durable, and most importantly, high-quality. 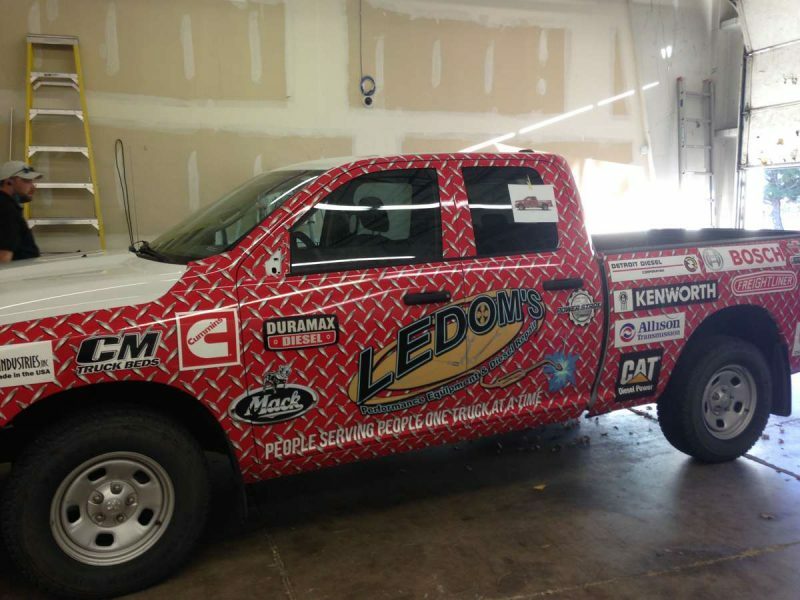 The best part about our premium vinyl wraps and fleet graphics is that once they are installed on your vehicle, they are almost maintenance-free. You just need to wash it as you normally wash your car, without worrying about detergents or power washing destroying or altering the vehicle wrap. When it comes to the design for your world-class vehicle wrap, our capabilities are limitless, so your imagination is the limit. Now that you know how to get the most out of your advertising, contact us today so we can start planning the design and get things wrapped up!